Sooner or later someone out there will need photos to be taken. How nice, wouldn’t be if your magic phoneword 1300 PHOTOGRAPH featured in prominent places all around Australia. This is the sweet taste of success that could be yours if you made this phoneword your own. Not only that. People from all walks of life, including the well to do will know they are doing business with professionals who may even be a member of the much acclaimed AIPP (Australian Institute of Professional Photography). After all, they are listed with a reputable company such as 1300 Easydial, aren’t they? If you claim a famous phoneword such as 1300 PHOTOGRAPH, can you imagine how much better your photography business will do in the tough business world out there. Especially if your business already specialise in award winning photography services such as portraits, taking pictures of newborns, and sharing special moments with the bride and groom by capturing unique memories with your photographic equipment. Now, this is what we call being smart. Speak to the guys over at 1300 Easydial for more information about making this phone number name your own. One of the primary concerns of any business owner is to attract leads. How are customers suppose to know what you are offering if it is not clearly stated in your contact details. This is where phone number names such as 1300 PHOTOGRAPH comes into the picture, in a very powerful way. Have you ever thought of branding your business while providing an easy to dial number in the form of a 1300 phoneword at the same time. Did you know that other Australian business owners already made the decision to utilise 1300 numbers to advertise what they have to offer, and managed to increase the amount of incoming calls they receive in a massive way, by as much as 300 percent more. Why not let 1300 Easydial show you how you can benefit your Australian photographic business by demonstrating the various advantages that would gain from having a phone number like 1300 PHOTOGRAPH? 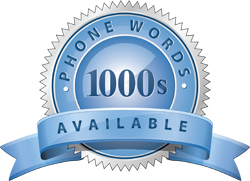 Opting for a phone word like 1300 PHOTOGRAPH can be seen as one of the best business decisions ever. This way you will truly stand out as unique and improve awareness among your prospects up to 5 times more.